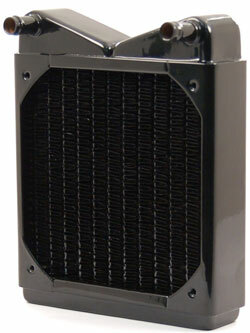 The MCR120-QP (Quiet Power™) series radiators are heavy-duty liquid-to-air heat exchanger designed to be used with 120mm class fans, and specifically engineered for high-end liquid cooled Personal Computers. The Quiet Power™ technology is the result of months of research and development focused on optimizing thermal performance and audible noise characteristics with low to medium airflow types of fans. The MCR120 -QP heat exchangers have been engineered to meet today's PC industry highest thermal loads, quality standards, and low noise requirements at competitive prices.